This is a simple activity to get kids speaking and writing! 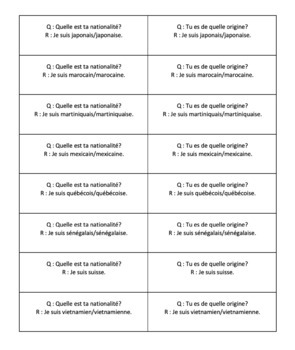 Students are given cards with question about nationality and answer in French. 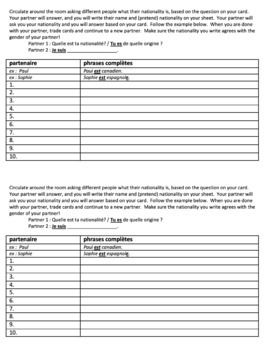 They circulate around the room, asking various people what their nationality is, their partner says it in French, and then the first student uses ETRE to write their partner's nationality. They then switch cards and continue on to the next person.